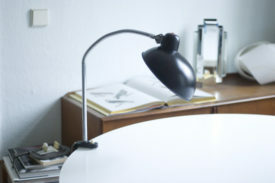 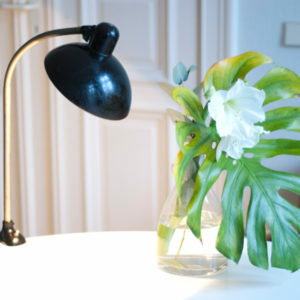 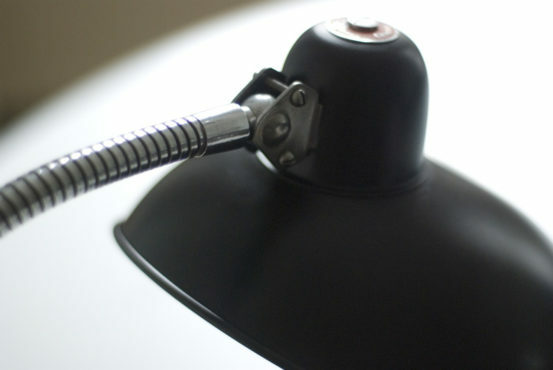 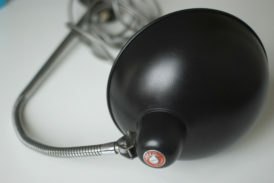 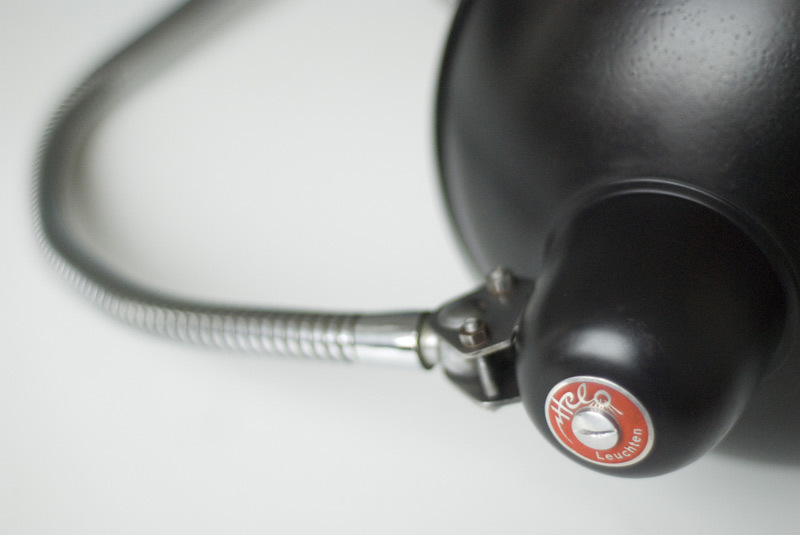 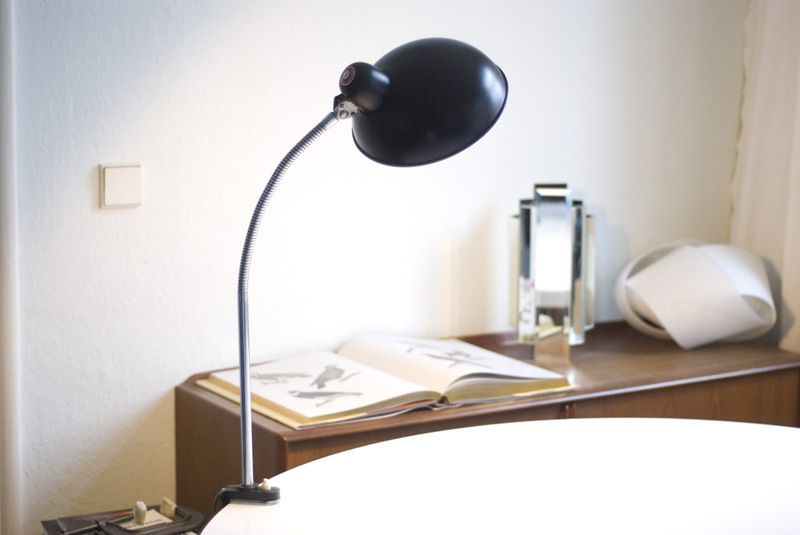 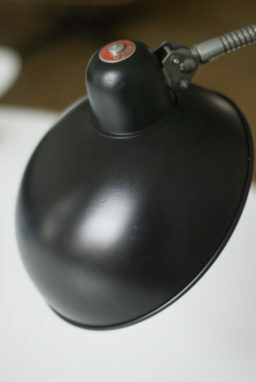 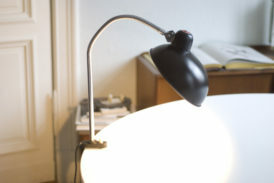 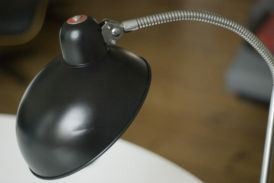 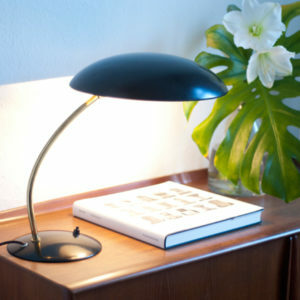 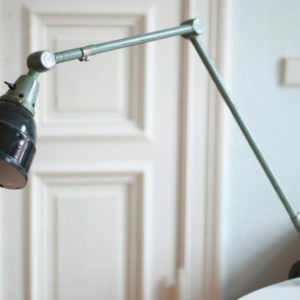 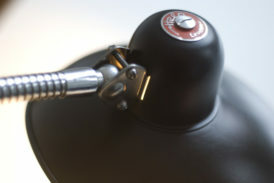 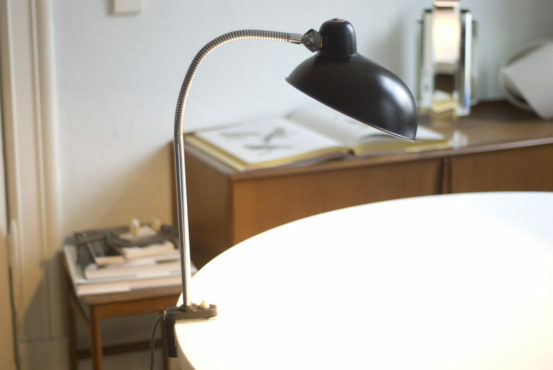 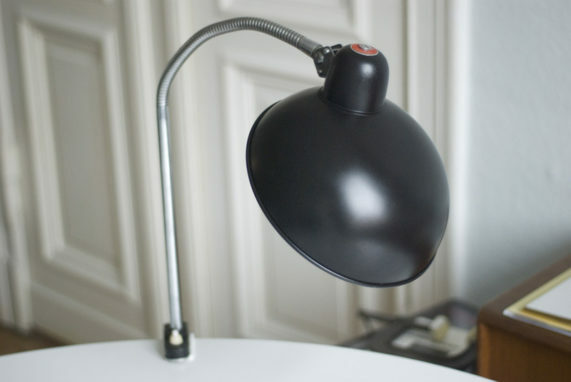 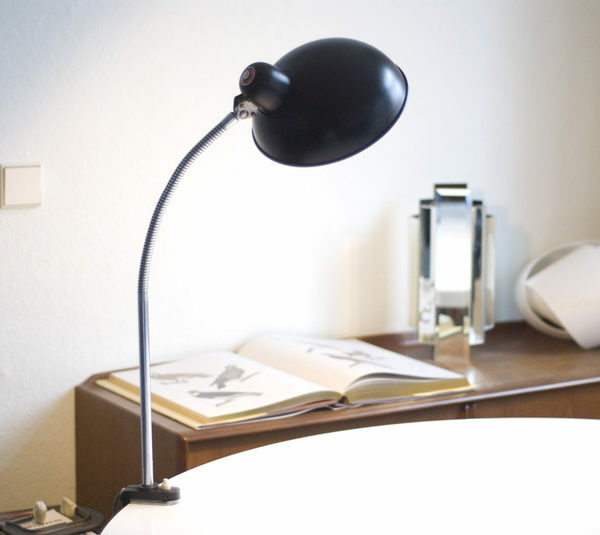 HELO beautiful black desk lamp in original condition with wide shade. 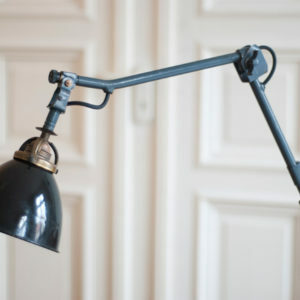 The lamp is on a very good original condition. 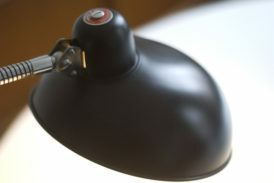 There is a slightly dent on the shade. 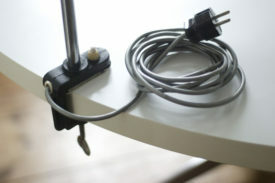 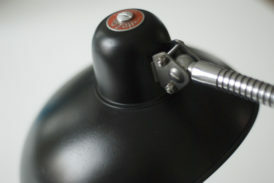 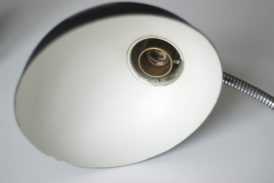 The light is operated by a push button located on the lampbase.